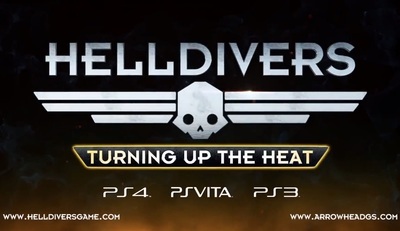 Helldivers is a top-down shooter developed by Arrowhead Game Studios and published by Sony Computer Entertainment. It is available on The PlayStation 3, PlayStation 4 and PlayStation Vita. Turning Up the Heat is a free expansion for Helldivers.